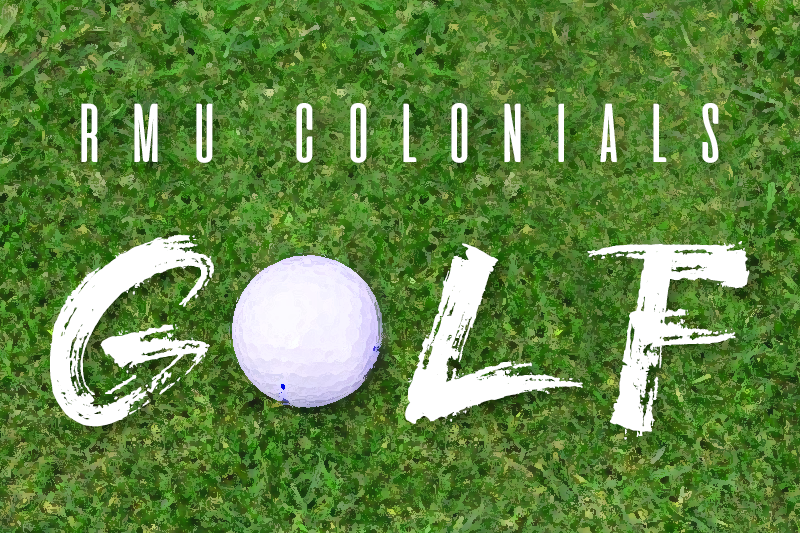 GRASONVILLE, Md.- After winning their last outing at the Abarta Coca-Cola Collegiate Invitational, the Robert Morris men’s golf team (+254) is back in action this Saturday and Sunday as they travel to Prospect Bay C.C for the Towson Spring Invitational. At last year’s Towson Spring Invitational, the Colonials finished in tenth place. In last weekend’s Abarta Coca-Cola Collegiate Invitational, the team won the tournament with an overall score of +9. For the Colonials, Max Palmer and Kyle Grube tied for third with one-under 143s, while Bryce Gorrell tied for 12th with a +3 tournament. Another pair that finished close to one another was Nick Mihalo and Chase Miller. Mihalo finished tied for 59th with a +11, while Miller tied for 64th with a tournament score of +12. Rounding out the tournament for Robert Morris, in his first meet of the year, was Ethan Sawyer. He shot a 21-over 165, which resulted in a tie for 97th place. For this weekend, the Colonials will play at Prospect Bay Country Club, a 6659-yard, par-72 course, located 45 miles from downtown Baltimore. Prospect Bay hosted the 1991 Maryland Open, and the 2007 edition of the Towson Spring Invitational was won by the 2011 PGA Championship winner, Keegan Bradley. From the air, Prospect Bay has two separate nines. The 3230-yard front is more open, and drives could potentially fall victim to breezes from the nearby Prospect Bay, whereas the 3429-yard back 9 is more tree-lined and features the two longest holes on the course, the 583-yard par-five 13th, and the 590-yard par-five 18th. Teams competing in the tournament include the Towson Tigers, the Bryant Bulldogs, the Saint Francis Red Flash, the Sacred Heart Pioneers, the Fairleigh Dickinson Knights and the Hawks of Saint Anselm College, and Robert Morris.